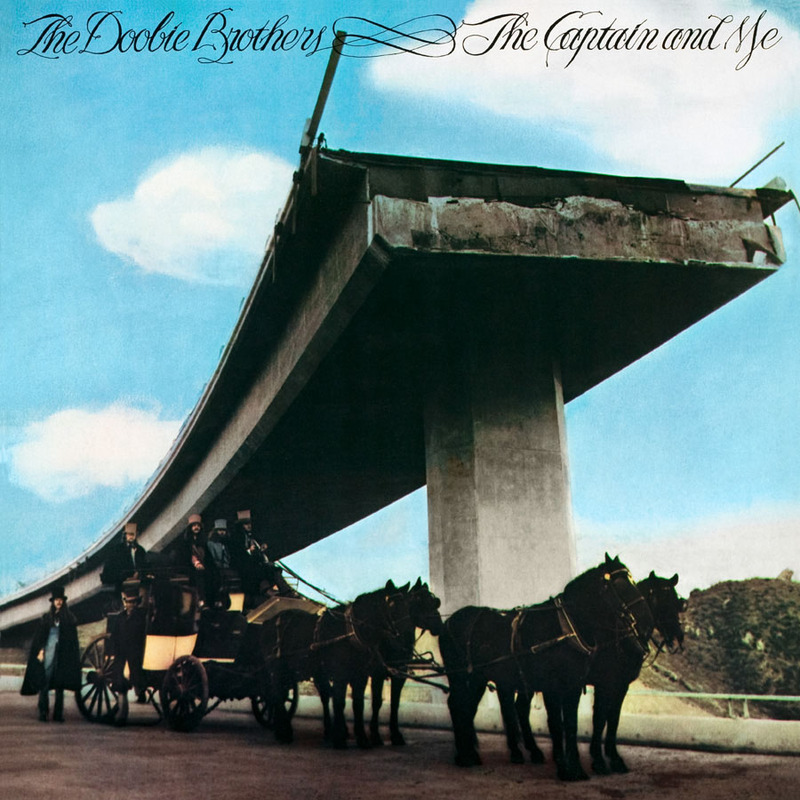 The Doobie Brothers' third long-player was the charm, their most substantial and consistent album to date, and one that rode the charts for a year. It was also a study in contrasts, Tom Johnston's harder-edged, bolder rocking numbers balanced by Patrick Simmons' more laid-back country-rock ballad style. The leadoff track, Johnston's "Natural Thing," melded the two, opening with interlocking guitars and showcasing the band's exquisite soaring harmonies around a beautiful melody, all wrapped up in a midtempo beat -- the result was somewhere midway between Allman Brothers-style virtuosity and Eagles/Crosby & Nash-type lyricism, which defined this period in the Doobies' history and gave them a well-deserved lock on the top of the charts. Next up was the punchy, catchy "Long Train Runnin'," a piece they'd been playing for years as an instrumental -- a reluctant Johnston was persuaded by producer Ted Templeman to write lyrics to it and record the song, and the resulting track became the group's next hit. The slashing, fast-tempo "China Grove" and "Without You" represented the harder side of the Doobies' sound, and were juxtaposed with Simmons' romantic country-rock ballads "Clear as the Driven Snow," and "South City Midnight Lady." Simmons also showed off his louder side with "Evil Woman," while Johnston showed his more reflective side with "Dark Eyed Cajun Woman," "Ukiah" and "The Captain and Me" -- the latter, a soaring rocker clocking in at nearly five minutes, features radiant guitars and harmonies, soaring ever higher and faster to a triumphant finish.